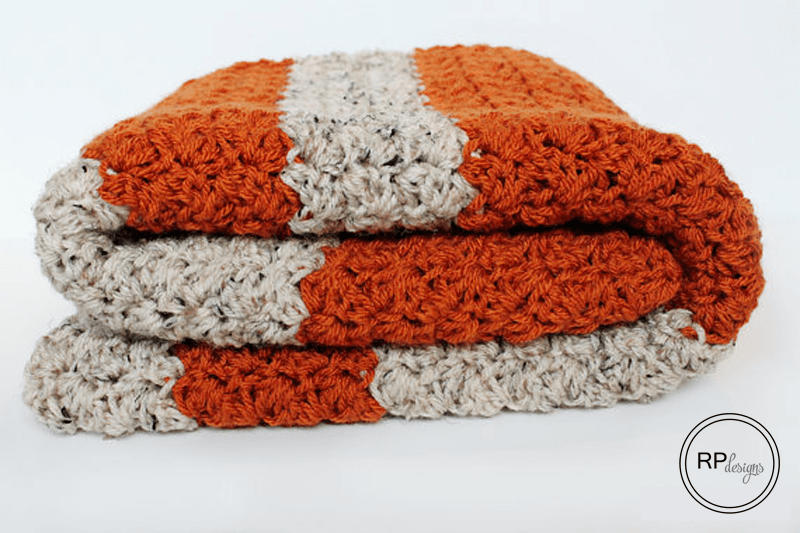 This simple pumpkin blanket crochet pattern will be sure to get you in the mood for the season of all things “pumpkin”! 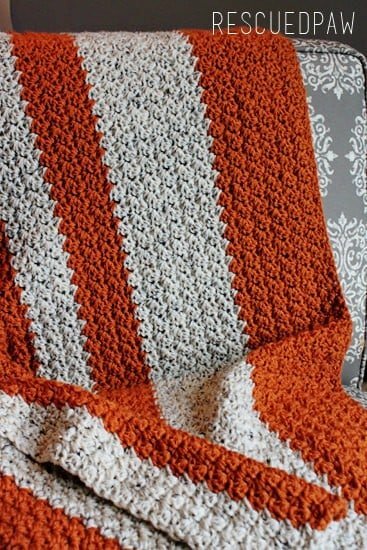 When making your crochet pumpkin blanket keep in mind that this is addicting and you will want to make even more blankets just like this! 😉 Ready to get started on this easy blanket pattern? Read on down and get crocheting! This cozy blanket is perfect for those cool fall days when you want to snuggle up close to a fire and sip on a hot cup of tea! Or if you are anything like me… COFFEE!. I love using it to wrap up in when I’m binge watching all the Netflix, Hulu, Amazon shows! 🙂 It also helps that it looks awesome draped across the back of a couch. So this blanket is really a win win. 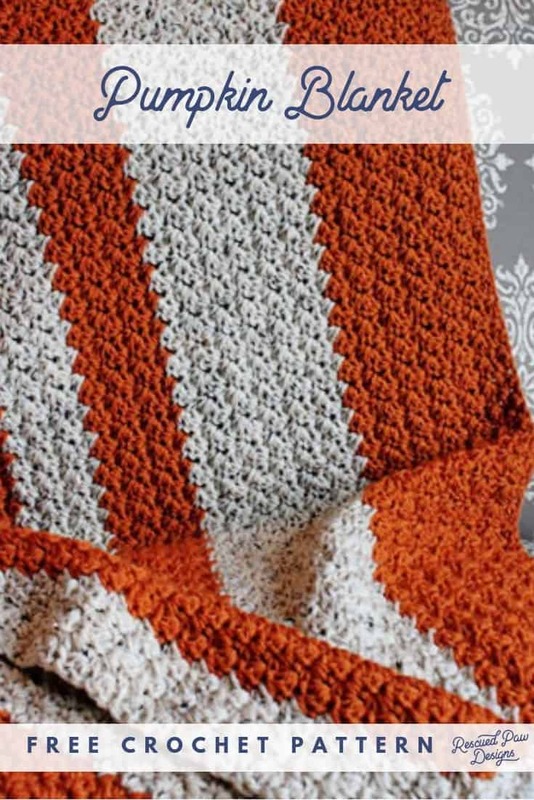 Below you will also find a stitch chart and stitch chart guide that will help you make this blanket because extra help is always a plus! 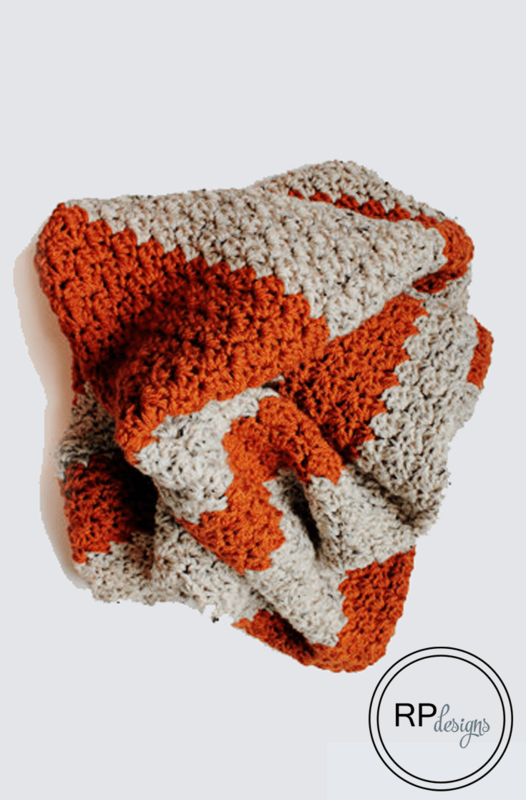 GET STARTED ON THE PUMPKIN CROCHET BLANKET TODAY! If you are ready to make this simple and easy crochet blanket, then grab your crochet hook and let’s get started! 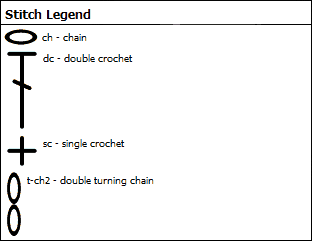 I hope you like my pattern and if you have any questions along the way please feel free to ask! I will refer to the different colors of yarn as Color A, Color B. 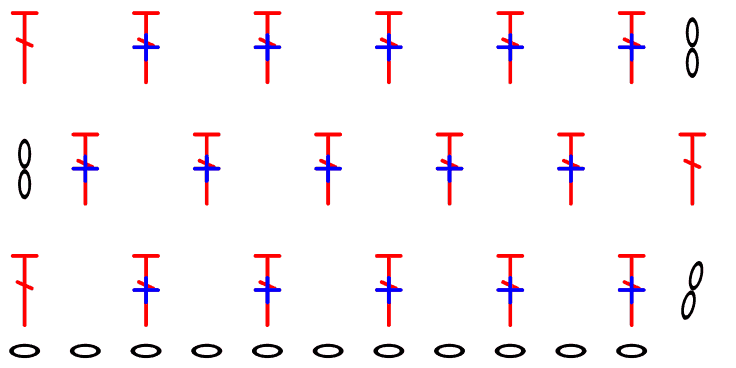 Change the size of the blanket by working in multiples of 10 ch’s and adding 3 chains to whatever amount you picked. Finishing: Fasten off and weave in loose ends throughout the blanket with a yarn needle. 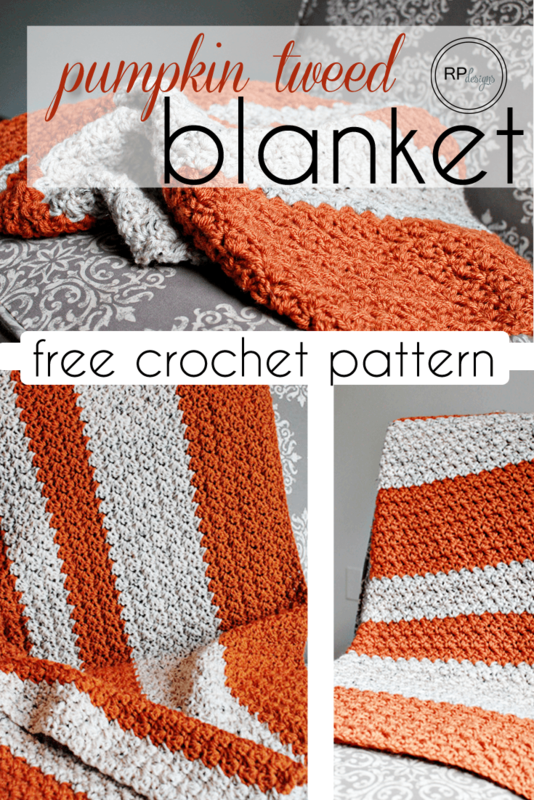 I hope you enjoyed this pumpkin blanket crochet pattern! 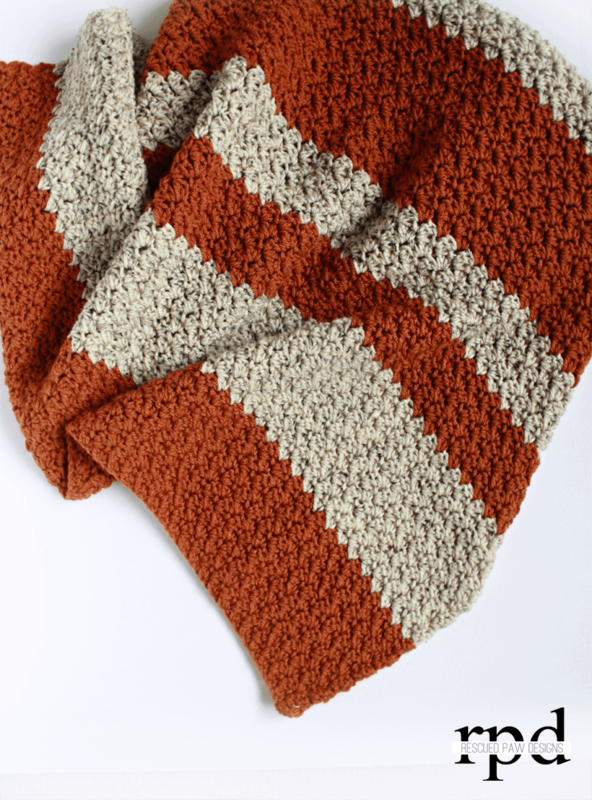 If you liked this pattern you may also like the Chevron Crochet Blanket Pattern or the Charlotte Crochet Blanket Pattern! I would like to make this patter quite a bit bigger, but I’m not sure what add 3 chose to whatever amount you picked means. I always mess patterns up when I try to make them bigger, so I really want to get it right this time!